Winter in Branson can be enjoyed in many ways. Although many of Branson’s shows, as well as Silver Dollar City are closed during this time, there are always shows open. There are still a number of Branson’s attractions, shopping opportunities, and other attractions that remain open year round. Even if it’s winter, you’ll find a list of very different and specific things to do in Branson during the winter months which include Indoor Water Parks, Titanic Museum, and Shows at the Grand Country Music Hall. Anyone can still enjoy winter in Branson at some indoor water parks. If you love water activities, even if it’s cold outside, you’re sure to enjoy at a facility that has its own water park. An example to this indoor facility is the Welk Resort. This indoor water park features a fantastic 10,000 square foot Splash-A-Torium, featuring a 100 foot water slide, a kids-splash zone, and an indoor/outdoor pool, and hot tub. Welk Resort has the best location in Branson, as it is near the spectacular Table Rock Lake, a couple minutes away from Branson’s famous Strip and all the exciting attractions and shows it offers. Just recently, the resort redecorated and updated traditional rooms with plush amenities, high-end finishes, and décor that reflects the unique charm of the Ozarks. The perks of the Welk Resort go far beyond your hotel room. The resort features hard-to-find hotel amenities that include a playground, a game room, a fitness room, a gift shop, mini-golf course, and an outdoor patio overlooking award-winning landscaped gardens. With a meeting and banquet facilities, the resort can easily accommodate your conference, reunion, or any group gathering or event. Another great place to enjoy winter in Branson is the Grand Country Inn’s Splash Country, a water-soaked wonderland which includes a lazy river, toddler pool, a three-level tree house, an indoor basketball play pool, the Eureka Mine waterslide, and the Froggie Bog jumping water play area. With the perfect location of Grand Country Inn and the huge family-friendly facility like the year-round indoor water park, you won’t find a better place to stay during your vacation in Branson. This large water park is the first of its kind in Missouri, and there are other special features including shopping, dining, attractions, and shows all in one place. Grand Country Inn also offers buffet dining, pizza, custard and more in the onsite dining. The place also features shopping opportunities that offer far more than a gift shop. They offer many indoor fun activities such as the glow-in-the-dark black light mini-golf, laser tag, mini-bowling, bumper cars, an elaborate 36-hole mini-golf course, extensive arcade, and a soft play area perfect for the kids. With all these, you’ve definitely hit your vacation jackpot with “Grand Country Inn”. When you want to see a show, you can easily watch some of Branson’s best performers at the Grand Country Music Hall. Castle Rock Resort & Waterpark is another great place to enjoy winter in Branson as the place features an expansive water park that measures an impressive 40,000 square feet that has numerous features like large tipping buckets, kiddie pools, waterfalls, an indoor lap pool, and thrill slides. Although this waterpark is tucked into the beautiful Green Mountain Drive area, it is located close to the famous Branson Strip. You won’t just find a hotel in this place, but an incredible indoor/outdoor water park featuring two 500-gallon tipping buckets. This water park also features a lazy river, and if it’s not enough for you, you can relax on the multilevel sun deck. There are other onsite amenities inside the water park which include a 24-hour arcade, gift shop, and fine dining at the Tower Grill. When it’s time to rest, you’ll be more comfortable with the guest rooms. The rooms are equipped for the young ones with Kiddie Cove bunkrooms and a wall-mounted 19” flat screen television. The Titanic Museum Attraction is another great place to enjoy winter in Branson. As a favorite place to visit in Branson, it’s more than simply a museum. This attraction honors and shares the stories of those who were onboard on its tragic maiden voyage that has fascinated the world for more than a century. Those passengers who perished and those who survived are memorialized in the displays, special events, and holiday celebrations held throughout the year. 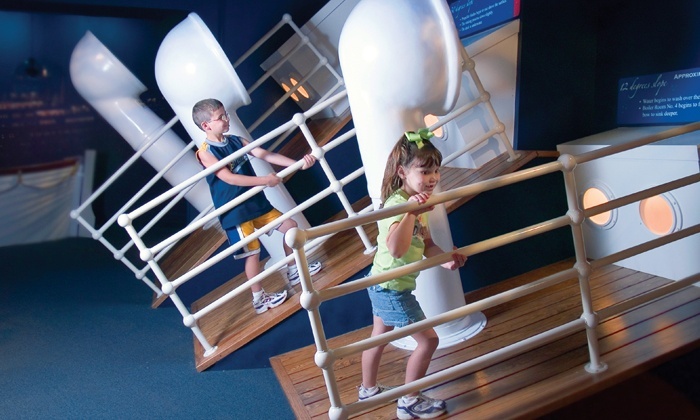 The museum offers guests a wonderful two-hour, walk-through interactive experience for the whole family which features everything from authentic artifacts to news coverage from the time of disaster to personal items from passengers who were aboard the Titanic. It’s always exciting to visit the “Titanic Museum Attraction,” but you’ll find it even more enjoyable during the holiday season a time when the ship glows with twinkling lights and holiday cheer. No matter what time of year you decide to get onboard the Titanic, you’re sure to appreciate the most famous ship ever to sail the ocean. So don’t miss to visit Branson’s “Titanic Museum Attraction” and step back in time as you step through the Grand Staircase and walk through the hallway and to the cabin accommodations. Another great way to enjoy winter in Branson is to see A Show at the Grand Country Music Hall. Featuring shows such as Amazing Pets, Comedy Jamboree, and Grand Jubilee, this is a place where exciting shows are something for every member of the family. The “Amazing Pets” Show entertains its audience with circus-like acts with an impressive cast of creatures that are actually house pets. Cats, cuddly canines, and even exotic birds put on a show that are sure to delight kids of all ages. Animal trainer, Valery Tsoraev, has created an interesting line-up of animal acrobatics and tricks. This animal trainer has performed with the famous Cole Bros. Circus of the Stars, and was featured with one of their incredible cats in the movie, Big Fish. These beautiful creatures including cats that have been adopted from shelters and those that have simply wandered to the site, were taught how to entertain and enjoy the affection and encouragement from their human co-stars and their adoring audiences. 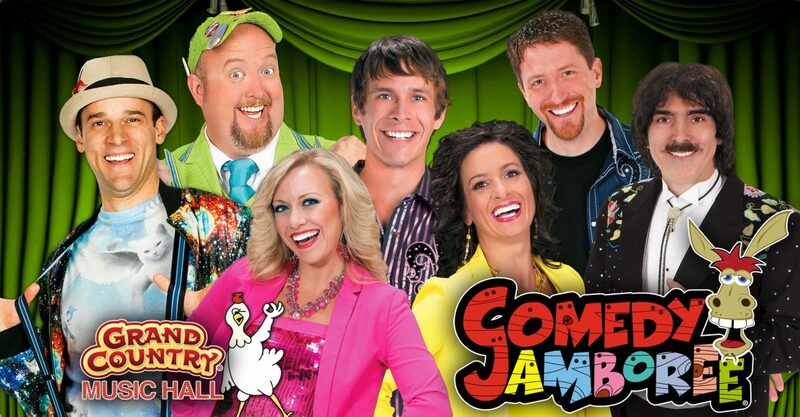 “Comedy Jamboree” Show at the Grand Country Music Hall is another electrifying show of music and mayhem. There’s nothing more fun than a live show that has everything. With a cast of eclectic comedic characters and talented musicians, this is the high-spirited, clean-humored show where you’ll bring the whole family to see. You’ll be treated also to a bit of dancing, including foot-stomping fun known as clogging, and some of today’s hottest country hits. This show will inspire you too let go of your laugh hysterically, dance and sing in the aisles, and wish the fun would last forever. “Grand Jubilee” is another great show to watch at the Grand Country Music Hall that has it all - sensational harmonies from an incredibly tight quartet of gifted guys. The show has the accompaniment of brilliant vocals of the lovely Jackie Brown, backed by a powerhouse live band, and complimented by silly sidekicks Jamie Haage, aka Jim Dandy, and emcee Mike Patrick. With this show, all the key ingredients are there in abundance – great vocalists, masterful musicians, comic geniuses, and unforgettable family-friendly show. Even if it’s cold outside, there’s always a way to enjoy winter in Branson as there are attractions that offer indoor activities all throughout the year.